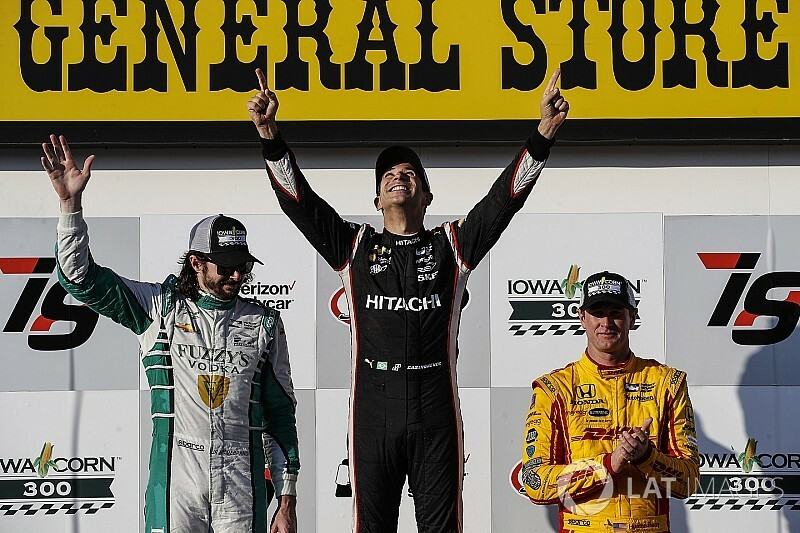 Team Penske icon Helio Castroneves took the lead in the opening stint of the Iowa Corn 300, and held on to score his first win since Detroit 2014, and Penske’s first ever IndyCar win at Iowa Speedway. Castroneves and Ed Carpenter in his self-owned car immediately demoted Ed’s teammate JR Hildebrand at the start as polesitter Will Power streaked into the lead. Behind them, Sato maintained fifth ahead of the Schmidt Peterson Motorsports-Hondas of Mikhail Aleshin and James Hinchcliffe, Chip Ganassi Racing's Tony Kanaan, Simon Pagenaud, Graham Rahal, Alexander Rossi and Ryan Hunter-Reay. Power caught up with the slow-moving Marco Andretti by Lap 10 and although Marco bravely tried to stay on the lead lap, he was already struggling massively. Castroneves took the lead from Power on Lap 20, as Sato fell back behind the SPM cars as well as Rahal, who was on a charge and had soon moved forward to pass Hinchcliffe and Hildebrand. Up ahead Aleshin started pressuring Carpenter for third and eventually got past the ECR machine, but then they too fell victim to Rahal zoomed to within half a second of Power. 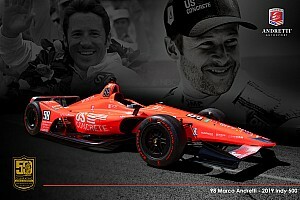 The 2014 champion ran 2.5sec behind Castroneves, despite Helio struggling for a long time to lap the AJ Foyt Racing cars. Hunter-Reay had become Andretti Autosport’s main hope in the opening stint, climbing to seventh past Hinchcliffe, but SPM's night really started to go wrong when Aleshin smacked the wall in Turn 2, bringing out the first caution of the night and prompting everyone to pit. The leaders emerged from pitlane in the order Castroneves, Power, Rahal, Carpenter, Hildebrand, Pagenaud, Hunter-Reay, Sato, Hinchcliffe, Dixon, Josef Newgarden and Kanaan. Carpenter used the restart to (eventually) scrape past Rahal, but Graham returned the favor within a couple of laps, before being demoted again by both Carpenter cars, as behind them Pagenaud and Newgarden made it four Penskes in the top eight. The man really on the charge at this point was Hunter-Reay, who was up to sixth – from 15th on the grid – and set fastest lap as he tried to close on Rahal ahead. Yet it was Rahal who made the move first, passing Carpenter who'd lost momentum once passed by teammate Hildebrand. 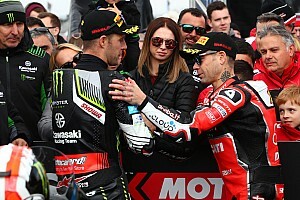 It was the one part of the race where Castroneves appeared to be struggling a little, because Power closed in on and overtook his teammate just past one-third distance in the 300 lap race. However, by then Hildebrand was 2.5sec up the road. 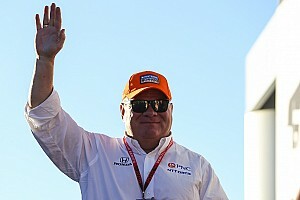 Defending Iowa winner Newgarden passed his former team owner Carpenter on Lap 109 into sixth, and also rising at this stage were the battling Chip Ganassi Racing Hondas of Dixon and Kanaan. 2013 Iowa winner Hinchcliffe got past Carpenter to seventh, as Rahal and Hunter-Reay moved onto the tail of third-placed Castroneves just before the second round of stops, which were triggered by Munoz, who’d stopped early, scraping along the front straight wall, bringing out the yellow. Penske’s #3 team did a great job of jumping Castroneves in front of Hildebrand and Power, while Andretti Autosport got Hunter-Reay ahead of Rahal in fourth and fifth respectively. On the restart they’d be followed by Hinchcliffe, Newgarden, Carpenter, Chilton and Pagenaud, who continued to run ahead of Dixon and Kanaan. The Lap 142 restart saw Power go around the outside of Hildebrand to grab second, as Rahal and Hunter-Reay ran side by side, eventually resolved in favor of Rahal, both of them pursued hard by the charging Newgarden. Again, Hildebrand was able to start charging after 25 laps of the stint, and he made a low and late pass on Power, then closed on Castroneves – but his charge was stymied by another yellow for another collision between an AJ Foyt Racing-Chevy and the wall, this time Conor Daly’s. Power’s Penske crew got him back out just behind Castroneves and ahead of Hildebrand who also fell behind Hunter-Reay – but they’d all be led by Charlie Kimball who didn’t stop his #83 Ganassi-Honda. Behind the ECR car ran Rahal, Kanaan, Newgarden, Pagenaud and Hinchcliffe. Dixon and Carpenter were 11th and 12th. On the Lap 182 restart, Castroneves took just a lap to pass Kimball and Power followed his teammate through. Hunter-Reay, Rahal, Hildebrand and Newgarden soon did likewise as Kanaan and Hinchcliffe had a long wheel-banging battle for seventh. The yellow flew on lap 196 for moisture on the track, and as few spits of rain moved in, the field bunched up in the order Castroneves, Power, Hunter-Reay, Rahal, Hildebrand, Newgarden, Kanaan, Hinchcliffe and Pagenaud. In 10th at this point was the remarkable Esteban Gutierrez in the #18 Dale Coyne Racing-Honda, making his oval racing debut and running ahead of Carpenter, Dixon and Rossi. The yellow prompted some, but not all, to pit. Castroneves, Power, Hunter-Reay, Rahal, Hildebrand, Kanaan, Hinchcliffe, Gutierrez and Rossi stayed out. 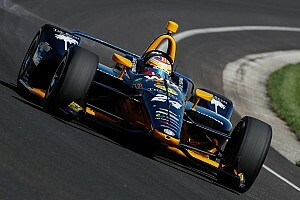 Other potential winners such as Newgarden, Dixon and Pagenaud chose to stop. Then the red flag emerged on Lap 208, sending all cars to pitlane but unable to be worked on. When the green flag flew 10 minutes later, most resumed in restart order, but Newgarden and Pagenaud started using their fresher tires to move into the Top 10. Newgarden passed Kanaan for seventh on Lap 216 and three laps later he passed Hinchcliffe for sixth. Further back, Pagenaud passed Gutierrez for ninth, then Kanaan for eighth although the #10 Ganassi car was using the whole track, causing some hand gesticulations from the reigning champion. Once through, Pagenaud quickly passed Hinchcliffe to grab seventh. Out front, Castroneves had pulled a 2.6sec gap on Power who was holding off Hunter-Reay and Rahal. Then when Rahal made a failed passing attempt on Hunter-Reay, he briefly lost fourth to Hildebrand but repassed the ECR car on Lap 239. Although his progress on fresher tires had been less spectacular than Newgarden’s and Pagenaud’s, Dixon passed Kanaan for eighth on Lap 245 and swiftly moved in on Hinchcliffe, the pair of them elevated one place as Hildebrand pulled into the pits early, on Lap 246. On Lap 253, Castroneves ducked out of the lead and into the pits as did Hunter-Reay, Carpenter and Rossi. Rahal pitted on Lap 255, Power on 256, Newgarden on 257, Pagenaud on 258. The benefit of extra laps on new tires was soon apparent, as following the pitstop shuffles, Hildebrand emerged ahead of Castroneves, Hunter-Reay was ahead of Power, and these four were chased by Rahal and Newgarden. Hildebrand didn't have the chance to officially lead again, however. By the time the slow-to-stop backmarkers who'd shuffled to the front and then headed to pitlane, Castroneves was once more ahead of the ECR car. JR lost momentum behind tailenders, Helio drew alongside and boxed him in and passed. Castroneves drove on to a thoroughly emotional and thoroughly deserved victory, his first in three years and 54 races, the 30th of his career. Hunter-Reay held off Power to claim the final podium position, as Newgarden and Pagenaud came home sixth and seventh. With eighth place, Dixon retained his lead in the championship but he's now only eight points ahead of Castroneves, followed by Pagenaud, Power and Newgarden.